Here is a hot and creamy cauliflower soup recipe, easy to make and absolutely delicious! Cauliflower cheese soup may look difficult but it is one of the easiest soups you can make. Just use vegetable broth instead of chicken for a wonderful vegetarian soup. Melt butter in large saucepan. Sauté onion until tender. Stir in cauliflower and condensed chicken broth. Bring to a boil. Cover, reduce heat and simmer 12 to 15 minutes or until the cauliflower is tender. Smoothly combine flour and milk. Add the mixture to the saucepan. Cook and stir over medium heat until mixture boils and thickens. Remove from heat. Add cheese and stir until melted. Add salt and pepper to taste. Ladle into soup bowls. Sprinkle with buttered croutons and parsley. Toss bread cubes in melted butter. Bake for 7 to 8 minutes or until golden brown. Vegetarian soup recipes can become a wonderful staple in any household, even for die hard meat eaters. This soup is sure to please even the pickiest eaters. Have someone in the household who doesn’t like vegetables? Whiz the soup with a hand blender or put it in the blender, and voila, you have a thick and creamy delicious soup that little ones and other vegetable phobes will love. Cauliflower is one of the healthiest vegetables you can eat. 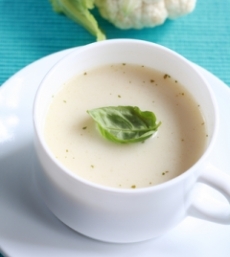 Cauliflower soup is a recipe that uses one of our top 10 healthiest foods. Learn more about cauliflower and broccoli nutrition facts here. Loved it and so did my family – i didn’t have enough cauliflower so i added broccoli very yummy! Tried it and it was GREAT! Better then i expected and for bonus was not hard to make. Excellent soup. 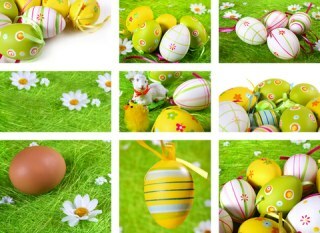 My hubby loved it. I add some curry when I am frying the onions. I also add sour cream to this soup.